This amazing event will help expand your Muay Thai knowledge and improve your fighter IQ. 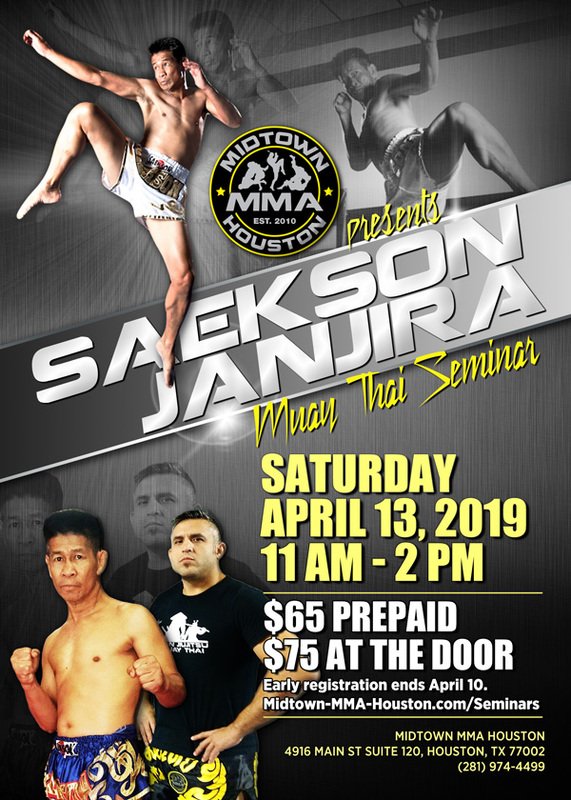 World Champion Saekson Janjira wants to come help everyone by teaching you the methods and techniques of a champion. Due to high demand, space will be limited! Please reserve your space today!